Inspired by page 119 of the Stampin' Up! 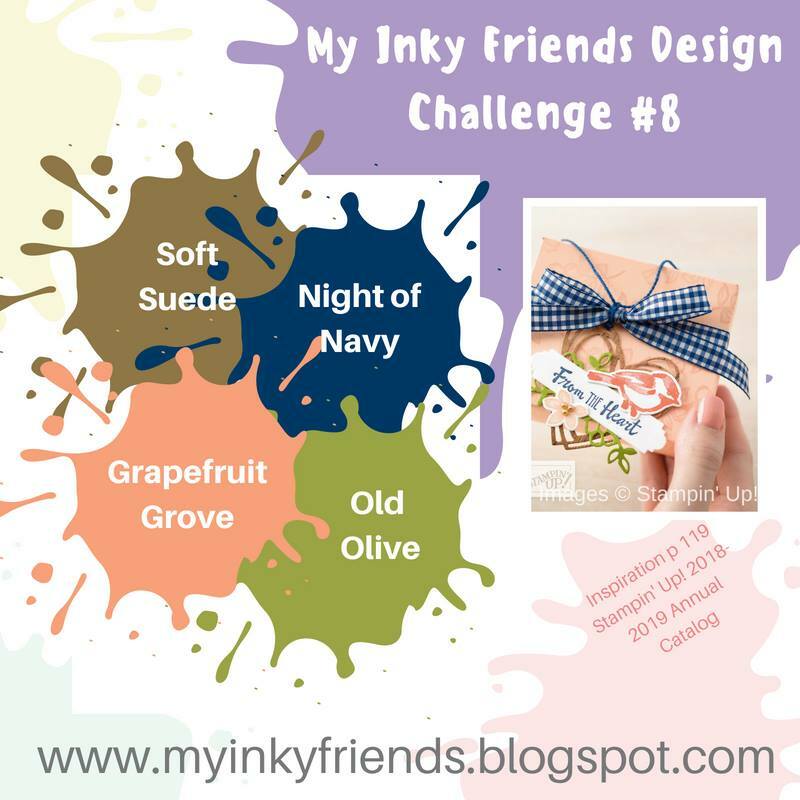 2018-2019 Annual catalog, the MIFDC8 design challenge features Grapefruit Grove, Old Olive, Night of Navy and Soft Suede. You may see all our entries and add your entry on the My Inky Friends Blog. Please join us! 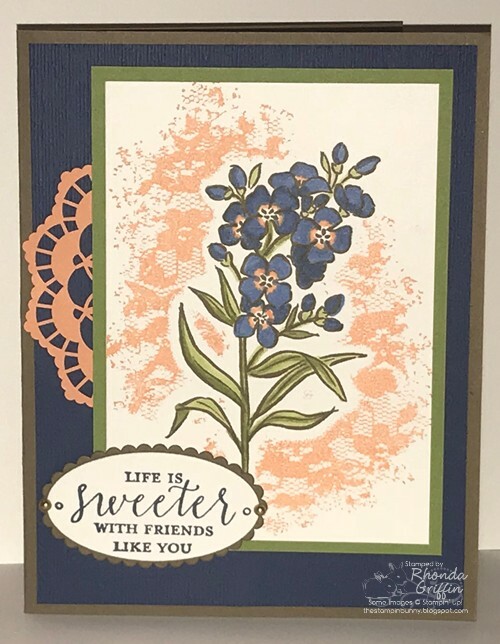 I used the masking technique to create a little interest for the background of the main image of the Southern Serenade Stamp Set and colored the center of the flower with the Grapefruit Grove Stampin' Write Marker. I used the Night of Navy and Old Olive Blends for the remainder of the flower. The mask was made of grid paper which is a bit thicker than typing paper. That made the space around the image larger. I also stamped off the Grapefruit Grove ink for the lace stamp one time to lighten the color. I added 1/3 of a doily and the layering ovals framelits to cut out the sentiment from the Detailed with Love set. A gold metallic pearl on each side of the sentiment blended nicely with the Soft Suede I think. I hope you'll join us and make a card with this color combination too! !